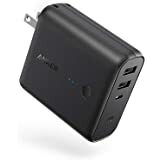 Amazon's Choice for "anker powercore"
Sold by Khankastore and ships from Amazon Fulfillment. Probably our most popular charging series. With faster charging, more advanced technology and even better portability. 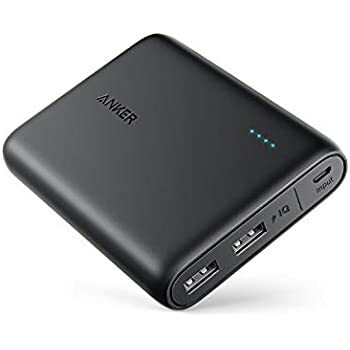 A frontier in portable charging. 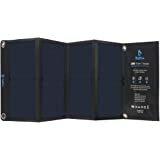 PowerCore 20100 offers an unbelievable size to capacity ratio along with best-in-class charging speeds. 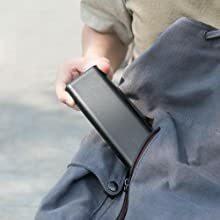 Lighter than a can of soup, PowerCore fits easily inside backpacks, purses, or computer bags. 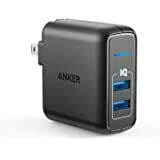 Anker’s world-renowned PowerIQ and VoltageBoost combine to deliver a high-speed charge to a wide range of devices. Constructed with premium materials to keep you charging again and again. 5.0 out of 5 starsSamsung Galaxy S7 Approved!!! 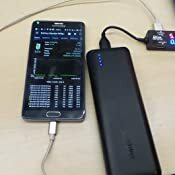 After fully charging the Anker PowerCore 20100, I ended up running my own personal test to see just how many full charges I could get on my Samsung Galaxy S7. Everyday, for 5 days in a row, I would allow my phone to drain as much as possible as you can see below....then the next morning I would charge my phone using only the Anker Powerbank until it was fully charged. It basically went from 14% to 21% power before the Power bank ended up running completely dry. 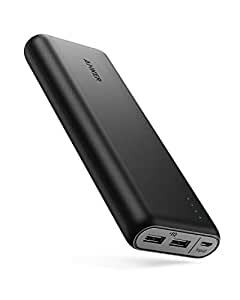 So all in all I was able to get "5 Full Charges" from this one Power Bank with my Samsung Galaxy S7. Hope this helps anyone who is undecided on pulling the trigger! Pretty disappointed. It hasn't even been 6 months, and one of the ports don't charge anymore. TBH, after doing some review reading, I was excited about this charger. I bought one for myself and one for my friend. 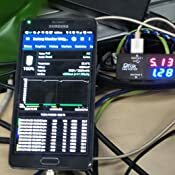 I'm not sure how his is doing or how often he uses it (I don't think that should matter regarding the ports, I can understand if the battery dies over time....hopefully not a short amount of time). 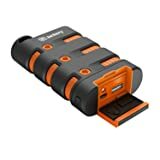 I usually use it over the weekends, and took it on another weekend trip to find my self short a charging port. Definitely annoyed! EDIT 11/08/16: I was contacted by their customer service team the following day after writing this review. Their team was very pleasant to deal with and quick with their responses. Within a day or two, they've already sent out a replacement for the faulty PowerCore 20100 I purchased a couple of months ago! If all goes well, I'll be updating this review again! 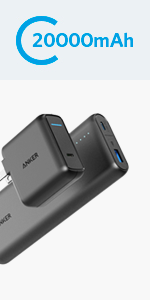 Great customer service from Anker! EDiT 2/16/17: Anker's customer service is second to none! The replacement works as it should, but the wire would not charge the PowerCore. After contacting their customer service team again, they were happy to replace the faulty wire sent with the replacement PowerCore. Great company that cares about their customers. I just wish products nowadays lasted longer, but regardless, I'll be buying their products again. 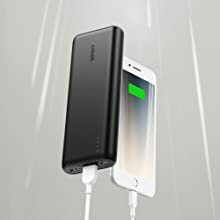 Most of us would agree that we all carry or own multiple devices in this day and age and they all need frequent (1x /2x/3x times a day) recharging after continuous usage. I personally travel a lot for work and I find myself needing battery juice for my devices on a very frequent basis. I carry 2 cell phones and 1 tablet for work. I obviously own couple of power banks to charge my phone during my flights or at the airports. 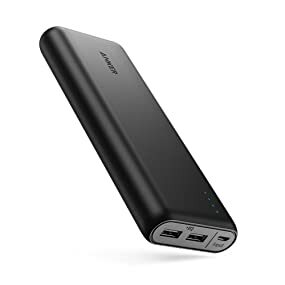 I always thought it would be great if one these days they made a power bank which could charge all my devices few times and it wasn’t so heavy. 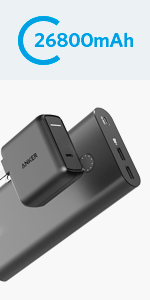 Well, guess what Anker PowerCore 20100 is the answer. 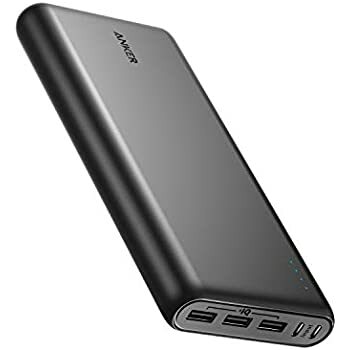 First and foremost, the capacity of this device is amazing and recharging of your devices is superfast. The unit itself comes pre-charged to about 75%came charged, so you can start using it out of the box. 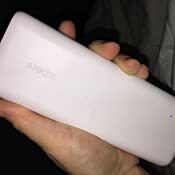 My test: After recharging it to full 100%, I took it with me on my business trip. I was able to charge my Samsung S6 and iPhone 6 at the same time (from 30% to FULL 100% in less than 2 hours). The Power Bank still had more than 50% juice left. I quickly plugged in my Samsung Tab S and charged it from 70% to Full 100% in less than 40 mins. I was surprised to see that the unit still had more than 50% juice left. Long story short, it took me full 2 days and almost 7-8 device recharges to drain it down to less than 25%. This unit has massive battery capacity. Since then I have ran multiple tests on this unit and it has NOT failed once to impress me. 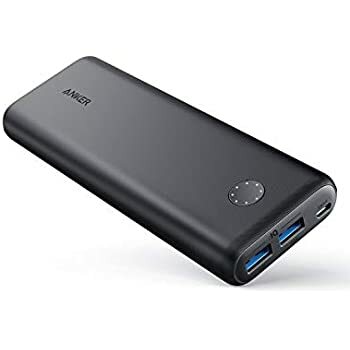 As far as size of the unit, I own old version of the Anker powerbanks and few other units from other manufacturers. This one is a great improvement. 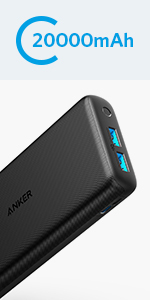 This is probably good 25% lighter than older Anker models and it’s not as shiny as older models. I like the looks of this one better. 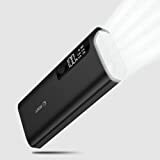 Anker smartly got rid of the flash light feature which was nothing but a small LED. I personally never used that feature in my older model. The four status LEDs are great and pretty accurate to show the status of battery charge left. 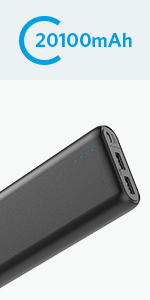 Two USB ports allow charging, it’s rated at 2.4amp per port and total of 4.8amp. I think that’s pretty accurate during my testing. 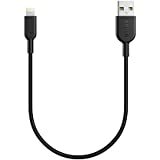 The unit comes with a single USB-to-micro cable and is charged via micro USB input on the side. It appears to be pretty well built unit that is both durable and attractive. For recharging the unit itself, it can take somewhere from 8-10 hours. Best is to leave it plugged in overnight and you will have an enormous power capacity for the busy day or even the week ahead. 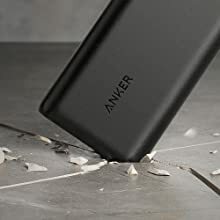 Anker customer service is the best I have seen, they are quick to respond and accommodating. The unit itself is backed by their 18 month warranty. 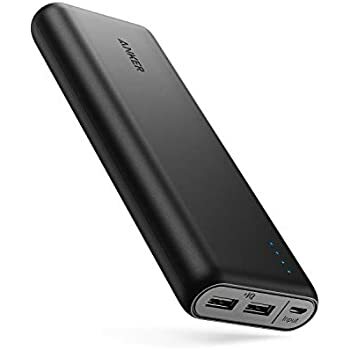 Overall, I'm extremely satisfied with the battery pack and highly recommend it. 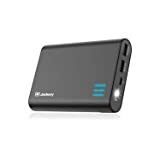 It's a great battery backup for those on the go or even at home if you don’t want long recharging cords from power outlet to your desk.  None I can think of for what it promises. 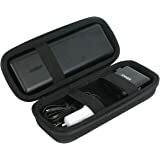  Substantially lighter than any other power bank with same capacity in the market. 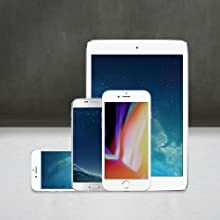 I think it’s established that in today’s digital and multi device environment our devices are power-hungry at all times. 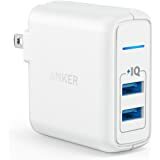 I have seen people at Airports, Hotels, Coffee Shops, Office Receptions, Disney World, Museums (yes), Casinos etc plugged into power outlets. 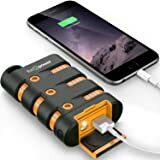 Phones and tablets are more advanced but they need battery juice and manufacturers have conveniently taken spare battery option out of the devices e.g. Samsung. 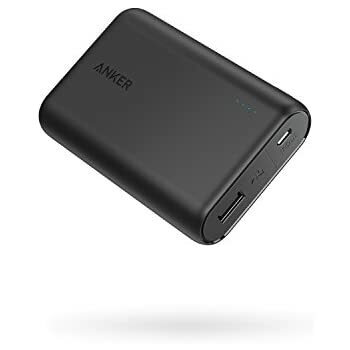 This Anker Power Bank makes perfect sense to carry for all your smart phone and tablet charging needs. 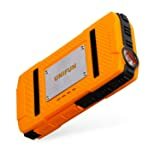 You can't beat the battery capacity, size, weight, price for the use you will get out of it and to add its backed by a good company who listens to their customers. I would say go for it! Please do let me know if this review was helpful to you. If it was not, let me know why in the comment section. I promise that my review is fair and honest. 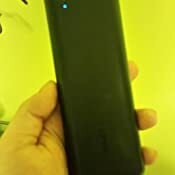 Loved this powerbank when I initially received it (ordered in Feb 2018) and it has only been a few months and a USB port has already stopped working. I tried to use different charging cables, thinking it was the cable that was faulty but cables work with wall charger, just not the portable charger. 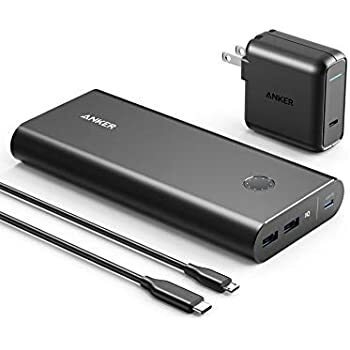 Disappointed because this product had wonderful reviews and I really liked the high charging capacity and the small sleek design. Previously I owned portable charges with similar charging capacity but they were much more bulky. 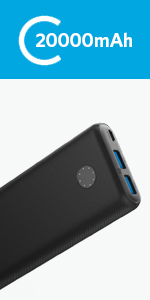 I guess my search for a great portable charger continues.